At Ashbrook Roofing, we have a huge selection of natural roofing slates. 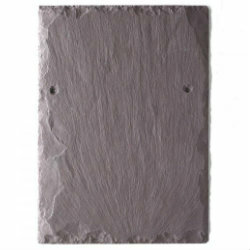 We stock slates from locations around the world, including the likes of Spain, China and Wales. Roofing slates are perfect for adding a sense of individuality and exclusivity to a building project. We only stock materials that we’d happily use in our own roofing projects, so you can rest assured that the roof slates we stock are of the highest quality. We also supply an exceptional range of prestigious stone slates, including classic blue Burlington and world-famous green Westmorland slate. These renowned designs are made to last for centuries and create an exclusive design aspect of any build. Contact us today for pricing and more information on our range of prestigious slates. Embarking on a renovation project? It’s difficult to match new slate tiles to those of an older structure, especially when original state tiles are weathered. That’s why we also supply reclaimed slate, which is perfect for making repairs and matching extensions. Contact us today for pricing and to arrange delivery of slates tiles directly to your site. We’re also on hand to offer any advice and product support, to ensure that your build is successful as possible.